This sports nutrition trunk was built for Clemson University. 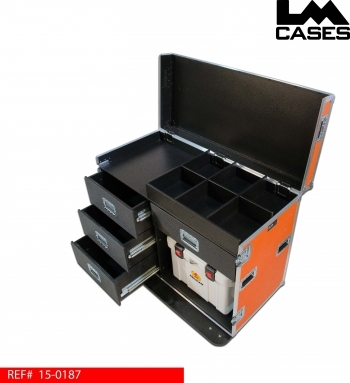 The trunk features 6 divided compartments and a removable wire basket in the top work surface. 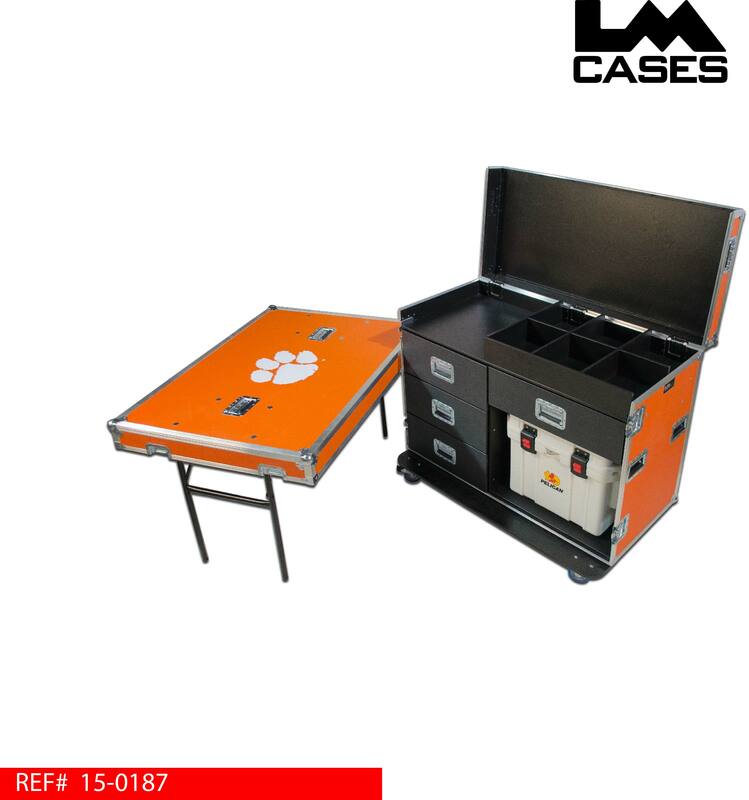 Below the work surface are 4 storage drawers and a 35 quart Pelican cooler. 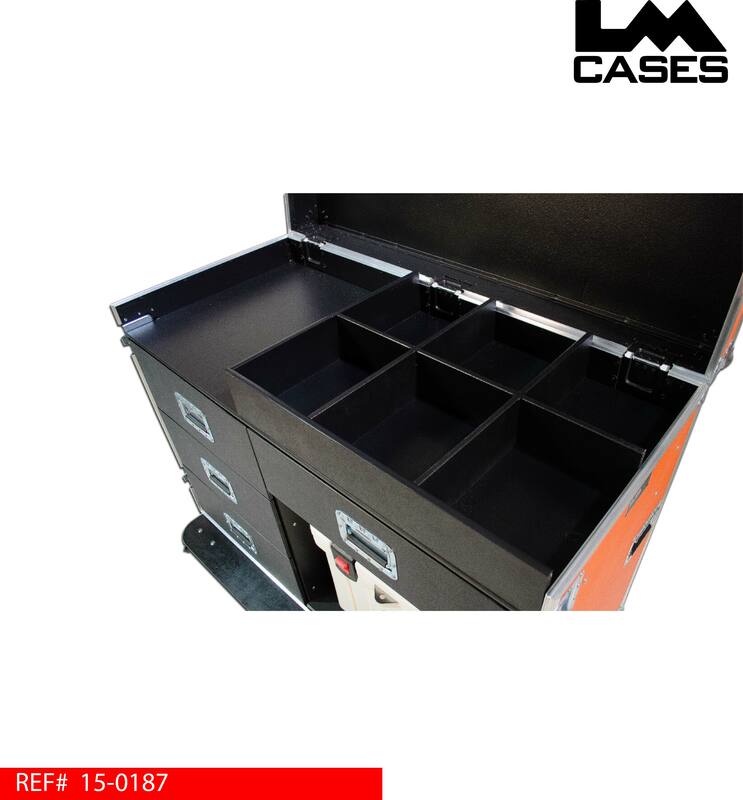 The case interior is finished in black texture coating for a durable easy to clean finish. 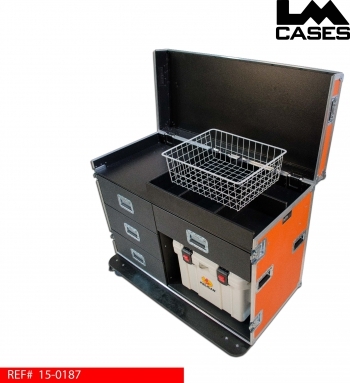 The top work surface features 6 divided compartments for granola bars and wrapped foods, the wire basket holds fresh fruit. The drawers are built out of 1/2" Baltic Birch and are mounted on HD Accuride glides. The trunk features a 35 quart Pelican cooler for storing cold items. 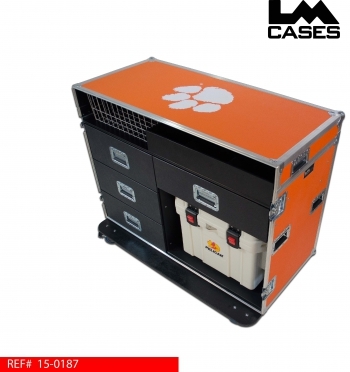 The cooler is very rugged and well insulated boasting 7 - 10 days of ice retention. 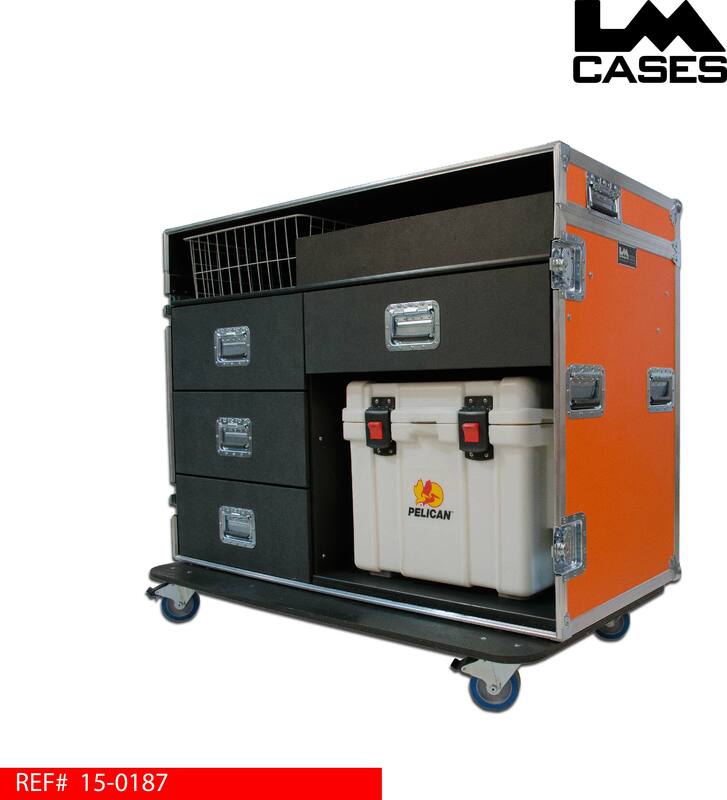 The cooler allows the team nutritionalist to take fresh cold items from the teams hotel and bring to the arena when the team is on the road. The exterior case is built out of 3/8" plywood laminated with orange ABS plastic. 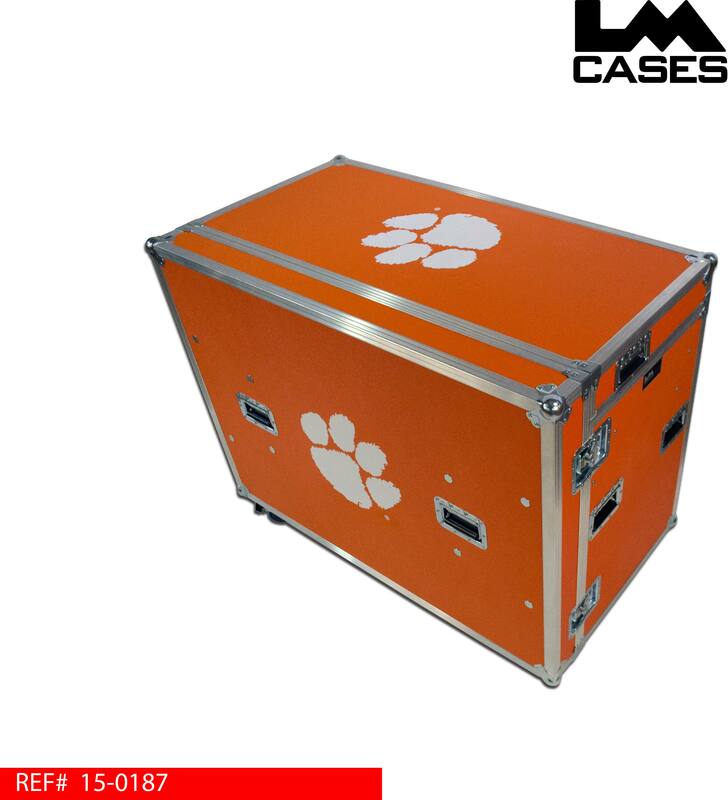 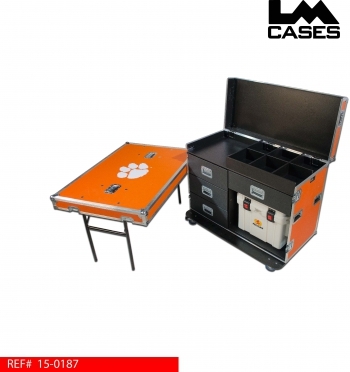 The front lid features table legs and the exterior features custom silkscreens of the Clemson paw print logo.